It is the time of year where the kids want to put on a swimsuit and just have fun. 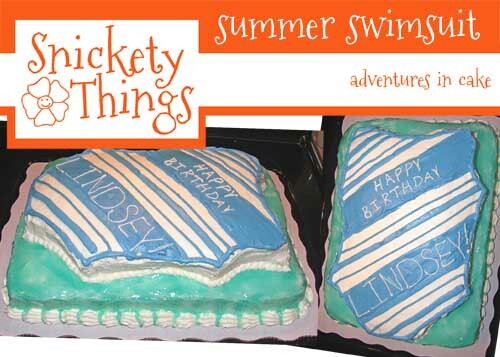 What better way to celebrate a summer birthday than with a fun swimsuit cake. A couple of years ago I made this cake for my friend's daughter. She was having a swimming party and asked for a swimsuit cake. 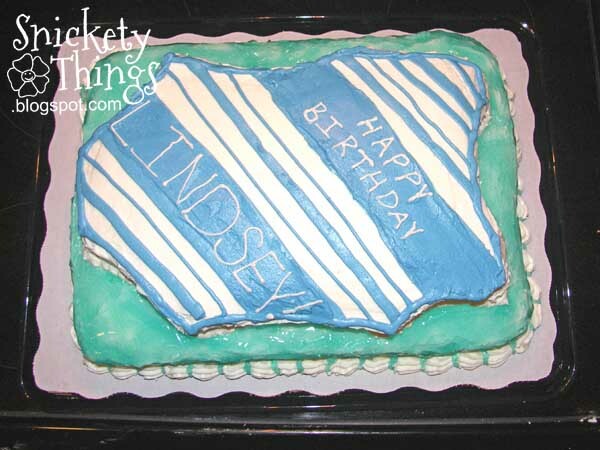 The only requests were that it have blue stripes and say "Happy Birthday Lindsey" on it. This was the first time I made a carved cake. 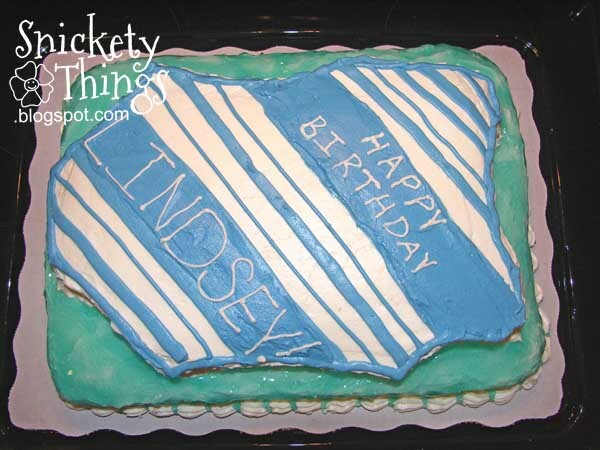 The birthday girl's mom drew out a swimsuit shape on a piece of paper for me and I used that as the template for carving the cake baked from a 9x13 inch pan. I had to make just a few modifications but it came out pretty good. I wanted to make sure there was plenty of cake so I also made a cake in an 11x15 inch pan and stacked them. I used homemade butter cream frosting to ice both in white. I tinted a small amount with royal blue, just enough to have a medium blue, and drew on the stripes. I just used different tips to make different stripe widths. The larger stripe was made with the cake icing tip, the really big one Wilton sells that you can use to help ice a cake. I just used a Wilton tip 3 to write out the message. The bottom layer was made to look like water by tinting a little piping gel with a combination of cornflower blue and leaf green to make it appear like pool water. I used a little dot of the gel on the shell border at the bottom for some extra interest. Sorry I don't have pictures of the cake as I made it. 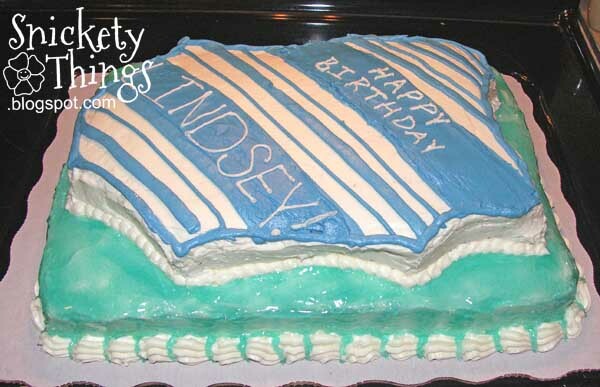 Hope this helps inspires you to make your own swimsuit cake. Yum! How cute!! I'd rather eat a suit than wear one!! That is so cool and fun! Cute idea for a summer party.